Following my CemPRO+ review post a little more than a two years ago, I have broadened my knowledge of this cementing application, not only providing engineering and post-job analysis to my customers but also and during some time, actively designing cement jobs in an on-going busy operation. Furthermore, I even found myself in the middle of a heated debate to validate CemPRO+ as a fully functional simulation model for temperature prediction (BHCT) and cement coverage. In summary, I am now unquestionably more CemPRO+ savvy today than I was before, when first used the software, puzzling years of CemCADE addiction, breaking paradigms in my mind, while getting accustomed to a different workflow, look and feel, but ultimately later finding out that similar functionalities can always come with a whole new sense of enjoyment and work satisfaction. In 2016, I experimented CEMPRO+ (version 2.5.2.3) for the first time. Now, in this review, CEMPRO+ (Net C1 version 5.1.0) is put to test fulfilling my obligation to my customers, who deserve meaningful answers to their most relevant questions: why the cement job failed? And what to do to succeed next time? Can CemPRO+ still help? Let’s see. Normally, the most time-consuming part of the post-job analysis is uncovering the circumstances a job has been actually performed, what changes have taken place in terms of properties of fluids, wellbore condition, rates and surface results (fluid returns, pressure, hookload, etc.). Once that is complete, there’s the turn of CemPRO+ to assist, time to sit in front of my computer to build a representative model. There is no time to waste with lateral features or fighting with limited functionalities, all kicking the user out of the critical path. But, how is the new CemPRO+ responding? In this initial phase, the work of the engineer must be swift, there should not be hurdles or the need to abridge the description of the well to something the software can accept. Why the casing shoe must be deeper than previous casing shoe? (1) Or Why so many inputs? If they refer to the same thing, why they are not all linked or updated to the last value entered either in the basic or the detailed input tab. Honestly, I was a little frustrated at this moment, after all my work was not exempted from the customary rush of our industry. Furthermore, finding myself going back and forth at the mercy of the new CemPRO+ workflow was a bit unexpected. However, I see the benefits of data input by levels (Well > Section > Case). I first experienced this idea with LANDMARK OptiCem™, a concept that supports collaboration in a project with several users and specialties working together, making more efficient and simplifying data input. At solo level, the geniality relies on the capacity to create versions at case level and add further sections, without the need to reintroduce the high-level well data again while keeping all in a single file. This is definitely worth the effort put by PVI team, however, some more work is required to keep the workflow moving forward naturally. I believe it is time for one of my theories, but only to provide some positive remarks. Fundamentally, the team who developed CemPRO+ has always been devoted to their customers. I already said this in my previous review: “something I like a lot (about CemPRO+) is the fact that feedback from customers is always taken into account when developing new versions”. This is positive; however, I am starting to think that some of the features or extra-functionalities have been introduced mainly to embellish the user interface or to prove a point, like it was computationally-possible or a programming challenge perhaps, without consciously looking at the cementing engineering standpoint as a whole. Let me give some perspective here – What do I do? – Well, I only face software input after the whole idea of what I want to achieve is drafted on paper. Yes, I am old school and I do my little drawing with all the casing data, capacities, fluids and volumes to achieve the primary objectives, like the top of cement, what formation to cover, highlighting trouble areas in the open hole, restriction in pipes, etc. Once the sketch is clear, the software portion later becomes an extension of my mind, and It has to flow in that same natural way, progressively buildings blocks of the model. Do I need the software to make the whole experience easier for me? with a countless drop-down selection, alternatives or side-functionalities. Not really. The only reason for a simulation software is to assist in modeling my target output, that’s the priority. Don’t get me wrong, this core functionality is no doubt in CemPRO+, but every programming improvement should be synergistically directed, within this frame, towards “the output”; making it a better representation of reality, providing alternatives to play different scenarios in a comparative approach, make better assessment of the risk of gas migration, perhaps even a section to assess the risk to zonal isolation, and other similar features. My previous review post in 2016, followed a comparative approach, basically an exercise to re-run some of my old designs in CemPRO+. This time, it is more real action with an on-going post-job analysis. No need on this occasion, to check the validity of the computational work of the software, that is already proven and legit; instead I was doing my thing, validating a cement log either as the result of the cement placement conditions or due to the intervention of other variables and/or effects out of control. The proposition is simple, if pressure matching is checked and cement coverage follows the same pattern revealed by the cement evaluation log, then the job outcome is explained and proven predictable, then modifiable with the alternative to be better next time, if proper changes are made targeting the root-cause variables. Once all the input if complete, and the simulation is clear to run, CemPRO+ certainly delivers, and it was nice to see the quality of the graphs, charts, and drawings improved. That was something I didn’t like in old versions. Now, even the job matching process is smoother with the job data input. However, the tabular output and access to simulated values need improvement, like adding more data points. At least in my case, I need this data to perform further engineering analysis. In my previous review, I said this “Finally, I was not very happy with the Displacement efficiency feature”. Now, this has been quite improved, including the quality of the graphs being more presentable and even make more sense to the expert eye, in terms of color and fluid distribution. However, I think the size of the calculation grid should be pre-determined by the software (to what better represents reality?) not to be changed by the user. I realized that manipulating the size of the grid changes significantly the display in the output channels of displacement efficiency if we keep in mind the scale of the image (versus the actual size). Finally, I have to say that an excellent application by itself will not make an average engineer prospers, but an excellent engineer will sure make an average application to excel and positively support delivering of outstanding services. But, CemPRO+ is not an average application and has been nicely developed to help the average engineer to succeed. Furthermore, Pegasus Vertex is periodically delivering a training course focused on successful well cementing. This is the kind of application and supporting team you want by your side. In this changing industry, CemPRO+ is no doubt helping customers to get high-quality and personalized cementing services, independently of the company size. I hope this review is useful, but if you have any comments or personal experiences to share, please feel free to add them below in the comment area. I went through your first post before reading this one and definitely the posts are great and the evaluation is very useful. I am not yet an expert using this software, but I have the opportunity to use both versions of it, from the previous one to this last one your evaluation is excellent. 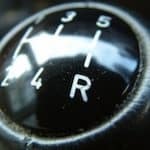 This is a nice post and it is well written. Definitely, in terms of cementing design and evaluation, the software is a useful tool to use once you get used to it, which is achieved after a few trials. 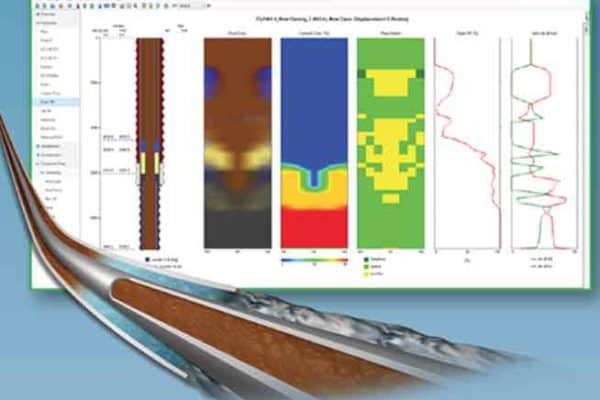 This software has very interesting features such as, displacement fluid compressibility, foamed cementing, gas flow potential, the reverse circulation cementing one (which I found interesting by the way) and others to mention only a few of them in addition on what you already listed. This software once helped me to explain an issue we had. Without going too deep in details, I ran a playback for job evaluation, the feature related to balance point (hydraulic>balanced point) allowed me to explain an incident (CLIP) and proved that there was a missing displacement volume. My client liked it in the end. It was very cool and I like this feature. The other point is the fact that in terms of the visual side, the 2D and 3D features make this software attractive for “marketing’’ as well as the improvement in displacement efficiency display. Hey, this is not the only one having this feature, others do but the point here is not to compare from one to another, I think comparing is not the goal of this post. I am showing cool stuff that I like which I think are helpful for a visual point of view. However, if I have to add small details I have with CEMPRO+, I would present the case of offshore cementing design. So far, this new version does not allow the user to design a cementing job considering a casing up to the rig floor. Each time I tried to do so, the software always ‘’obliges’’ me to consider an ML (not always used in shallow water up to the sea bed). In addition, for any intermediate casing, the software also obliges you to consider it as a liner (up to sea bed). I reported this issue and the software design engineers will consider it in the next version they said. It will be fine to share ”how to overcome this issue” experience too…. anyway. Finally, I think I share your point of view, CemPRO+ is an excellent tool and there are no doubts that the improvement will be great since there are coming from users feedbacks. Hey Lenin, again great post and thanks for sharing your thoughts on this software. Thank you for sharing your experience with CemPro+. The new version 5.2.0 should now allow the offshore case with casing up to the rig. Looking forward to hearing your comments. I work in PVI’s development team and I really appreciate Lenin’s review. I think his opinions are pertinent. I heard from other customers too about redundant input and strict data check in current version of CemPRO+ hindering the user’s workflow, like the basic and detail tab. Interface designs usually take quite a bit of discussions inside our team based on different customers’ and logical requirements and sometimes we end up with compromised options. Data check is way to filter out wrong input or rare scenarios which may lead to calculation errors. Normally there are default and auto fill values to speed up the user input. Extra features and functionalities which are not necessary for the majority of users are usually checked off by default so they don’t bother much. But apparently we have more to do to improve the user experience. Users’ feedback like this is very important for our development. 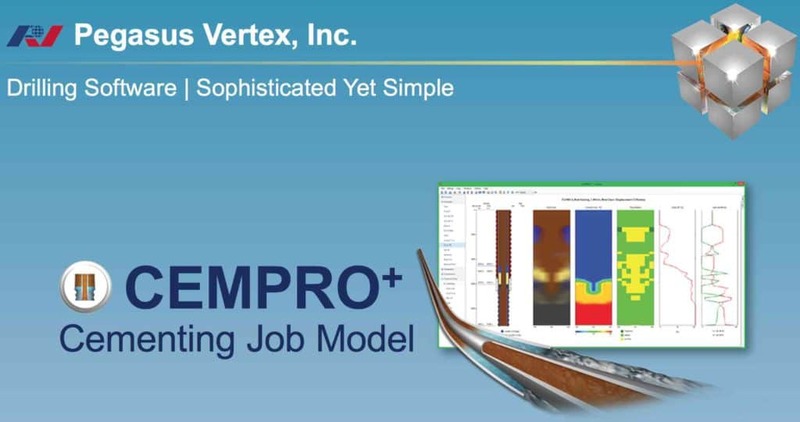 CemPRO+ is aimed at both improving work efficiency and solving technical challenges for engineers. I quite agree that software upgrade should give priority to the “output”. PVI is dedicated to making the cementing model more reliable and capable for simulation tasks that are valuable and critical for engineers. Regarding the mesh setup for displacement efficiency, I personally prefer to let users set up the mesh on their own by balancing their computer memory and accuracy demand. First, we are not able to establish a “standard” mesh or a way to automatically determine an optimal mesh size which works best for all cases; second, given the flexibility of mesh setup users can perform grid convergence tests to have better insight of the simulation accuracy. This is essentially a CFD engineer’s way of doing simulation. But using this way is helpful for cementing engineers too to take advantage of this functionality. You definitely summarise succinctly that background knowledge and subject matter understanding, if not expertise, is crucial to deriving meaningful results from any simulation software. All too often poor data inputs lead to unrealistic outputs. In the hands of competent Engineers, this package looks from the surface to be a powerful aide. I look forward to the opportunity to put it to the test in a real-life scenario, hopefully in the not-too-distant future. Keep up the good work. This industry needs dedicated individuals like you.